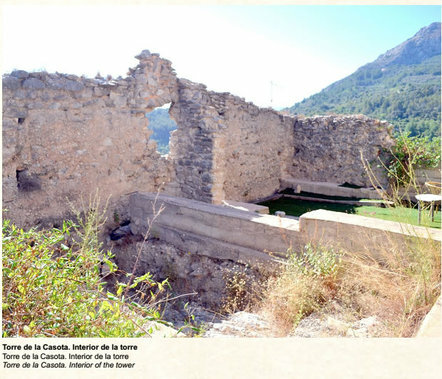 The castle was the place of refuge for the farmsteads of Campell, Fleix and Benimaurell located in the Vall de Laguar, and Portella, Tormos, Orba and Isber from lands lower down. Its date of construction is unknown, but ceramics found on site suggest the 11th century. The castle was occupied by Al-Azraq during the revolt of 1276, and was demolished once it had been captured by the Christian King. However, this did not stop the Morisco rebels occupying the place in 1609 during their efforts to evade expulsion. 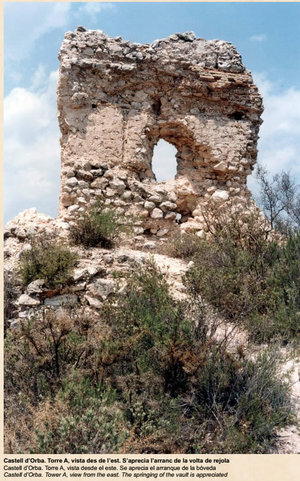 ​The Casota tower is located on a promontory 400m high not far from the town of Fleix, about 30 meters to the east. 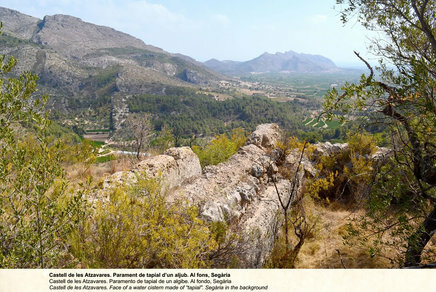 It stands near the old road that went up the valley from Campell and Fleix to Benimaurell. The building had become part of a farm house that masked it until the modern structures were demolished and the tower was revealed for everyone to see. 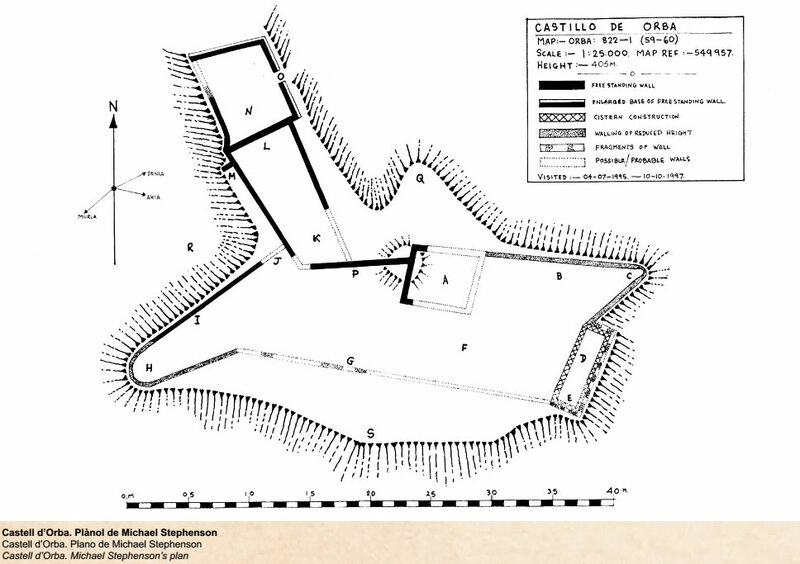 Archaeological work documented a rectangular tower, 10.30m x 7m, with a wall thickness of almost a metre. The maximum preserved height of 3m is found on the north and east sides, while the other sides have been demolished almost to ground level. The foundation of the building is masonry built on the bedrock to level the land prior to construction with tapial form-work. The east wall has an entrance which was probably opened when the tower was dismantled. 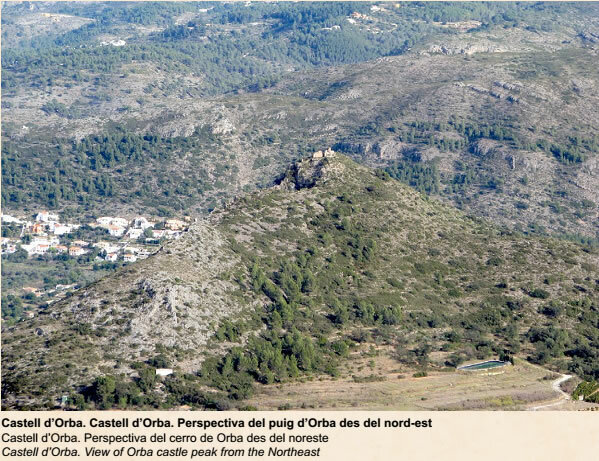 Orba castle stands on a hill at an altitude of 416 m to the north-west of the Sierra Seguili, known in documents as puig d'Orba (Mount Orba), which controlled both Orba itself and Murla. The remains we now see correspond to a building which was authorised by the Christian King to Berenguer Mercer in 1289. The building was the residence of whomsoever was the lord of Murla, representing the feudal power in the area. The structures are very damaged, but from west to east can be seen a large tower, a large rectangular room, a small square tower, a stretch of wall and a water cistern. In addition, there is another cistern at the bottom of the southern side in the place where the access road to the fortification begins. The slope overlooking Orba is steeper and difficult to ascend. Much of the castle is of the Christian era and no previous constructions have been found, although there are many Islamic ceramics on the ground which could indicate the existence of a previous Islamic fortification.